“Public Relations is the discipline which looks after reputation, with the aim of earning understanding and support and influencing opinion and behaviour. It is the planned and sustained effort to establish and maintain goodwill and mutual understanding between an organisation and its publics” says the Chartered Institute of Public Relations. During my research for this blog post, Michael White said to me “ask a room of 10 PR practitioners to define PR and you will probably get 10 different definitions” which is exactly what I have found. And exactly what I thought I might find, which is why I wanted to research this. I’ve been asking PR professionals, students and those in the communications industry what PR means to them. You can see my comments in blue at the end of each section. “The move to digital has given PR’s new responsibilities such as social media and content marketing, and taken crisis management to another level in addition to traditional PR roles in media relations and events. Ultimately, to me, it is about managing conversations to control reputation” – Lauren Old, English & PR student, University of Sunderland. 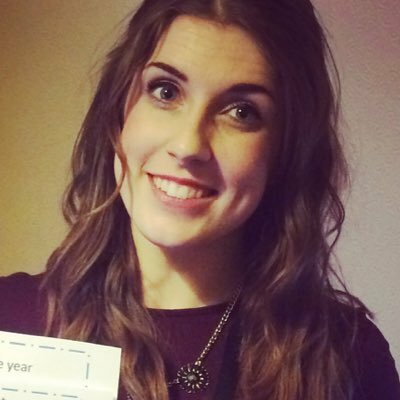 “To me, PR is not just managing the reputation of an organisation but doing it in ways that are fun, innovative and, most importantly, appropriate to the sector you work in” – Livi Wilkes, PR student, Southampton Solent University. “To me, PR means protecting the reputation of a company. What you do, what you say and what others think about you are the guidelines for a solid PR reputation” – Hannah Lennox, PR student, University of Sunderland. Who has been reading the CIPR definition then, eh? Reputation and management of it is clearly a key part of PR. This broadly encompasses many things that a PR practitioner may work on, therefore I think essential to include when discussing PR. “Public relations is the practice of understanding the purpose of an organisation and its relationships within society. It is the planned and sustained activity of engagement. It is a two-way process by which an organisation communicates with its publics, and vice versa” – Stephen Waddington, partner and Chief Engagement Officer, Ketchum. “Well successful PR in my mind is the transmission of a message that successfully offers new learning or influences opinion or behaviour” – Christian Cerisola, Director, Glue PR. “I think the general idea behind Public Relations is telling the story of a brand. Whether this be through managing relationships with consumers, positioning a company in a certain light through crisis management or creating media buzz through an eye-catching campaign” – Abbie Mattingley, PR student, Leeds Beckett University. These definitions are grouped together thanks to their theme of conversation, sharing a message or telling a story – communication. All go along a similar theme of actually talking to your publics. One element that I believe is important in PR, but was only mentioned once is PR being a two-way process. It’s not just about telling your audience what you want them to hear, it’s about listening to them to ensure you achieve the best results. With social media now as big as it is, this has introduced a new way to create this two-way conversation. “Public relations is a management discipline with the ability to help organisations find their purpose in society, build relationships with the people that matter and influence behaviour” – Sarah Hall, MD of Sarah Hall Consulting, editor of #FuturePRoof. “PR encompasses all areas of marketing to devise an integrated strategy, not just between offline and online, but between change and employee engagement, to online advertising” – Michael White, Digital Account Director, Lansons. PR is becoming more and more a management discipline. Managing reputation, managing social media, managing workload, managing content… the list goes on. But what Michael touches upon here is employees – PR’s may also manage internal communications, therefore reinforcing the fact it is a management discipline in many ways. Your publics include employees and stakeholders too. “PR is an opportunity to raise the awareness of your brand to your audience. With PR, there is a real psychological benefit to the brand from the perceived subjectivity, or even endorsement, of the publication of their message” – Anon, 13 years of agency experience and 18 in the media. “PR is… looking at the news agenda, seeing the opportunities out there for your client to make their mark to grab their customers attention, and making that success happen for them” – Ashley Kier-Bucknall, Associate Editor of Behind the Spin. And of course creating attention and awareness had to be mentioned in here somewhere! This ties in very closely with reputation, but making relevant publics aware of what your client does is essential. Ashley raises a great point about seeing opportunities that are there, but I’d like to extend this further and think that PRs must also make their own opportunities too. Well, what do you think? Okay maybe not the most eloquent definition, but the key points are there. A huge thank you must go to all those who offered their views and comments for this post. All words are the respective persons own, although I have shortened some entries simply for the length of this post. You can read everyone’s full answers in this blog post – all 1,300 words of it! Christian Cerisola; Sarah Hall; Ashley Kier-Bucknall; Hannah Lennox; Abbie Mattingley; Lauren Old; Natalia Szczepanek; Stephen Waddington; Michael White; and Livi Wilkes.